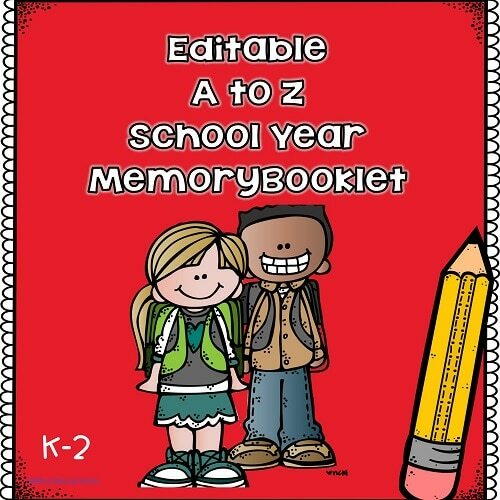 This school year memory booklet has a page for each letter of the alphabet as well as space for children to write, draw, and paste in good work samples or photos. 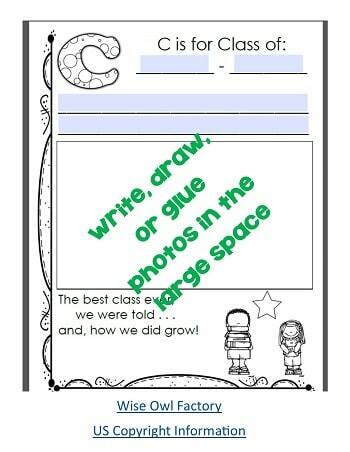 The editable area at the top of each page may used by the teacher to create uniform pages, or printed for children to write their own thoughts. The editable areas are blue, but no blue will show if the PDF is simply printed. See a preview of the book link by viewing this PDF. There is a page for each letter of the alphabet, but the book does not have to be completed in sequential order. If the first study trip of the year is to a zoo, then the “Z” page may be completed first. 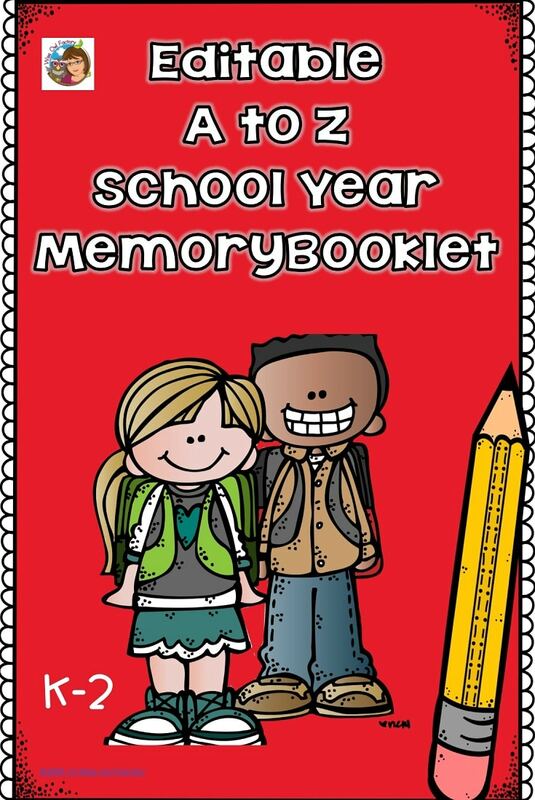 In fact, the pages could be given to students one at a time for final assembly later in the school year. 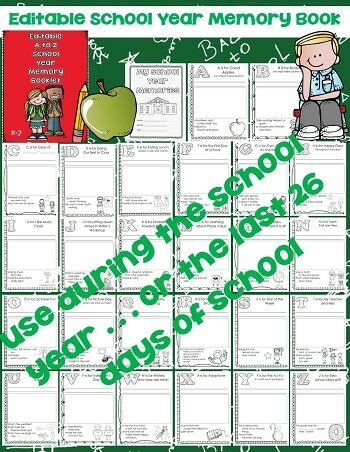 Some teachers teach a “letter a day” the last 26 school days of the school year. 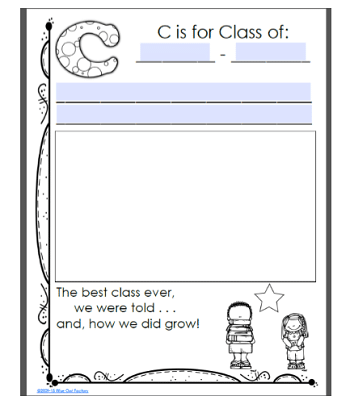 If that is one of the projects your class has, then these pages could be completed as a page a day near the end of the year. This booklet does have a US Government Copyright.